Anstey, the Tea Tree Gully Library’s resident echidna, would like to recommend the new children’s book ‘Bridie’s Boots’, to little readers. Written by Phil Cummings and illustrated by Sara Acton, this is a story about a little girl who learns to let go of treasured belongings, as she begins to grows up. When Bridie turned five she received a pair of gumboots, they were wrapped in rainbow paper and were the best boots ever. They kept her feet dry when it rained and when the sun came out she twirled on tiptoes in her boots. Bridie dreamed of all sorts of adventures in her boots in fact she could do anything in her boots. But when Bridie turned six her boots no longer fit her. ‘You’ve grown, Bridie,’ said her mum. Bridie decides to give her boots away to charity so that someone else can wear them. On the other side of the world the boots find a new owner who loves them as much as Bridie did. This delightful story about goodwill, sharing and adventure is written by local author Phil Cummings. The Little Big Book Club recommends this book for children aged between 4 and 5 years. 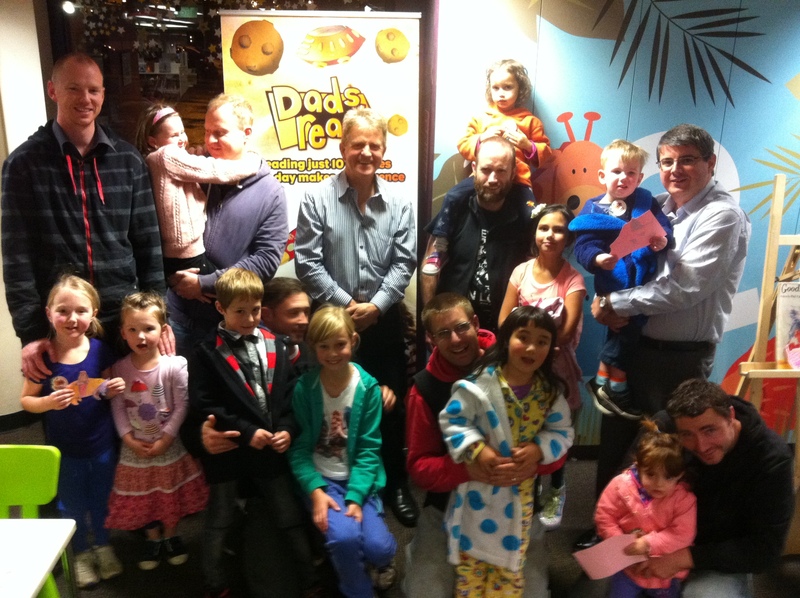 Author Phil Cummings with dads and kids at the Tea Tree Gully Libray’s Dads Read Event on 9 July. 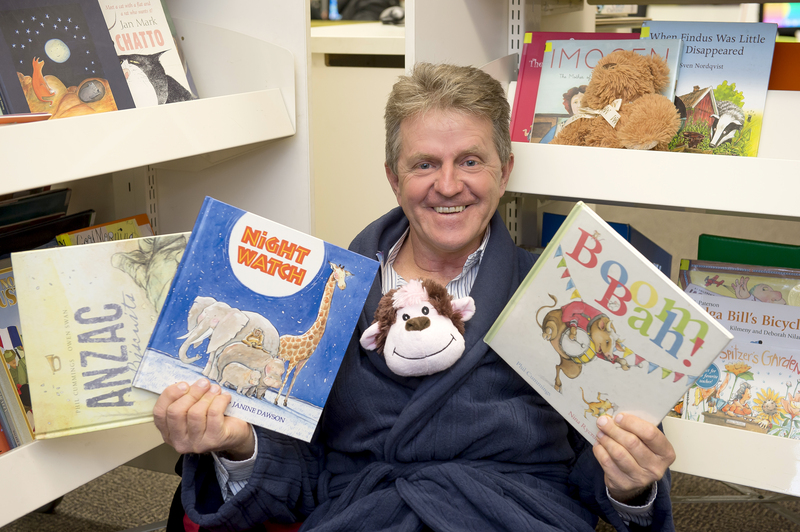 Children’s writer Phil Cummings blessed us with his presence at Tea Tree Gully Library last night, reading to mini bookworms and dads dressed in their PJs, for our Dads Read event. 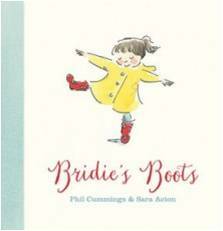 We were lucky to hear Phil read his soon-to-be-released children’s book, ‘Bridie’s Boots’, due out in September. The Dads Read initiative encourages fathers to invest in their child’s future by choosing to read to them every day. It was developed following recent research highlighting the importance of dads reading to their children during their early developmental years, before they start school. The research shows that reading to children for just ten minutes a day is all that’s needed to strengthen their reading/writing skills, to improve their behaviour and build their self esteem. Ten minutes of reading aloud every day makes an important difference to your child’s language and literacy development. Read stories with enthusiasm! Change voices for different characters and alter the volume of your voice to build excitement. Tell your child stories every day about your day, their family, exciting things you’ve seen or done. Reading, storytelling, talking and play helps your child listen and develop social and language skills. Read in a variety of places to your child. Read outdoors – in the park, at the beach and on the bus. Just like adults, children enjoy reading in different contexts and times of the day. Storybooks and picture books stimulate imaginations and foster a love of literature. But read recipes, newspapers, brochures, maps and other texts to support your child’s literacy levels in all aspects of their life. Listen to your child read. Consistent reading aloud improves children’s reading and confidence. Wait patiently and let your child work out more difficult words. Praise them when they succeed and for their reading effort. Encourage your child to ask questions about what they are reading before, during and after reading. Ask them what happens next, why something stated is important, and discuss their feelings about events and opinions in the texts. Move your finger under the words from left to right as you’re reading. Encourage your child to do the same when they are reading. Stop now and again and discuss a particular word. Ask what it means and what other words are like it. Focus on, celebrate and explore the visuals that go along with the text. These can be illustrations, maps, photographs or graphics and often help your child understand the book or text being read. Model reading to your child. Let them see you reading for entertainment and information. Ask them to join in when reading the newspaper, measuring something from a recipe, or viewing a text message. Our Reader’s Festival falls on the first week of the school holidays and we have Phil Cummings ready to read some of his stories to children as a Dad’s Read event. On Wednesday 9 July between 5-6pm children can come dressed in their PJ’s for a bedtime read. This is a free family event and no bookings are required so come to the warm welcoming environment of the library and give the kids an opportunity to meet one of their favourite authors. An adult must accompany all children. Phil Cummings has written over sixty books for children in a career that has spanned over 25 years. He is an ambassador to the Premier’s Reading Challenge in South Australia, for the Dad’s Read campaign with the State Library and was an ambassador for the National Year of Reading in 2012. Phil has received a number of honours and awards in Australia and overseas for his work. In 2008 his novel Danny Allen was here, a book based on Phil’s childhood memories of growing up in a small country town, was shortlisted for the prestigious children’s literature awards at the Adelaide Festival of Arts. 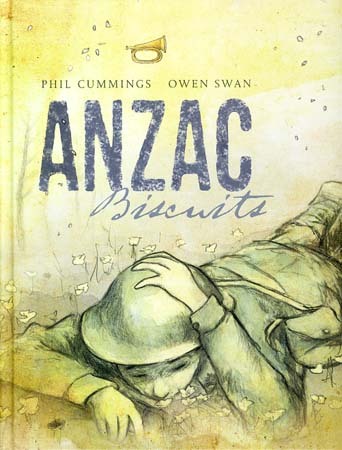 Phil’s bestselling book ANZAC Biscuits was published by Scholastic in March 2013 and has been shortlisted for the Western Australian Young Book Readers Awards and has been named a Notable Book by the Children’s Book Council of Australia. This work also received the honour of having a spread chosen from the book by the Australian Publishers Association and Books Illustrated for display at the international book fair in Bologna in March. The book has also been chosen by the SA Festival of Music to be the basis for a new commissioned work to commemorate the Gallipoli centenary in 2015. 2013 also saw the publication of the picture book Night Watch with Working Title Press and publisher Jane Covernton who published Phil’s first book Goodness Gracious! with Omnibus Books back in 1989! Night Watch was shortlisted for the 2013 Australian Speech Pathology Children’s Book Awards. Phil’s books ANZAC Biscuits, Boom Bah! and Night Watch were presented to the Duke and Duchess of Cambridge as a gift to their son Prince George to commemorate his visit to Australia in 2014. 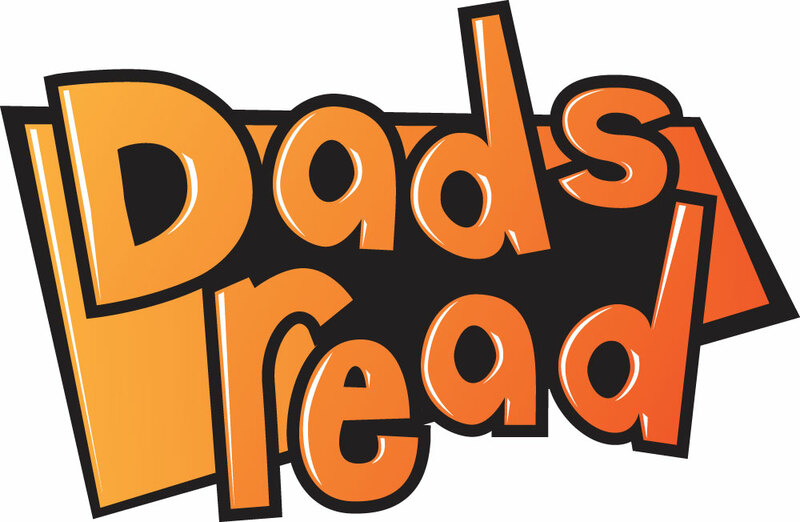 Dads Read is an early childhood literacy initiative, developed by State Library of Queensland in 2010 and launched statewide in 2012 as part of the National Year of Reading, to promote family literacy. Dads Read recognises that fathers reading to their children strengthens literacy, models positive reading behaviour and builds children’s self-esteem around reading (especially for boys). For more information on our Reader’s Festival or school holiday events go to our website. Join us and bestselling SA kid’s author Phil Cummings for a special Dad’s Read event! As part of the Readers Festival, Phil Cummings will host a session of stories on July 9 from 5-6pm. Come in your PJ’s and get cosy! Put the week aside in your diary and stay tuned for more details coming soon!